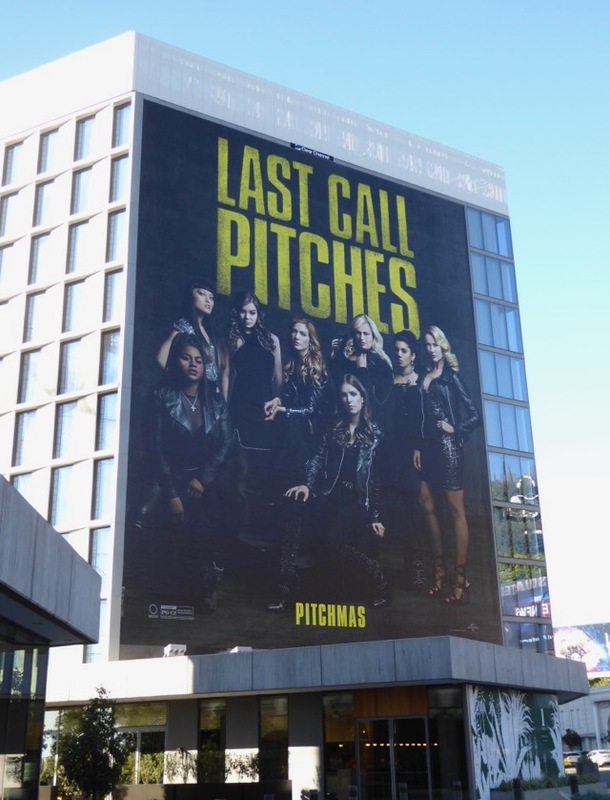 If Christmas carols are not your favourite at this time of year, then Pitch Perfect 3 has the a cappella spectacular you're looking for. 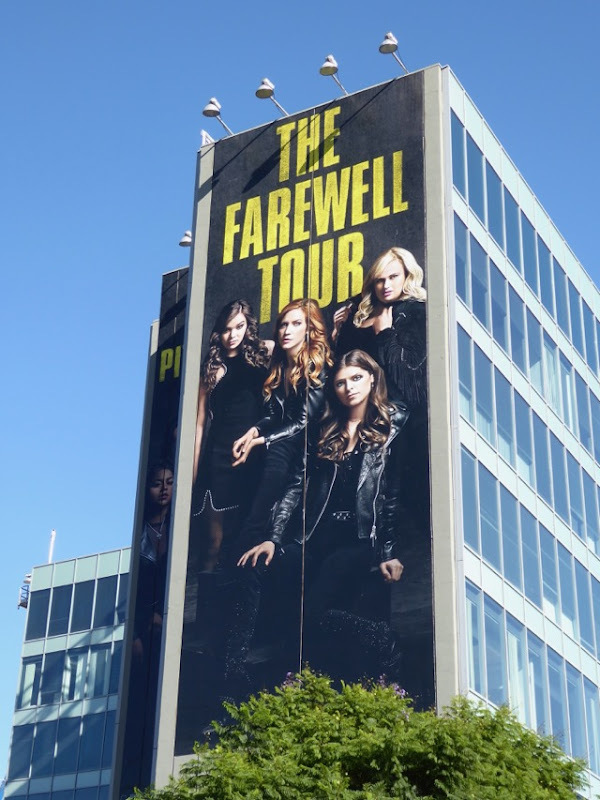 Anna Kendrick's 'Beca' reunites with her Barden Bella alumnae, 'Fat Amy' (Rebel Wilson), 'Chloe' (Brittany Snow), 'Aubrey' (Anna Camp), 'Emily' Hailee Steinfeld, 'Lilly' (Hana Mae Lee), 'Cynthia' (Ester Dean) and 'Flo' (Chrissie Fit) for a fantastic farewell tour. 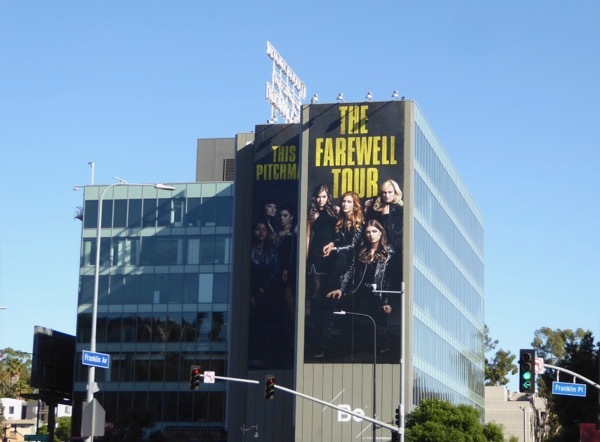 This time around the singing sensations embark on an overseas USO tour to entertain the troops, which sees the ladies facing off against both voices and instruments. 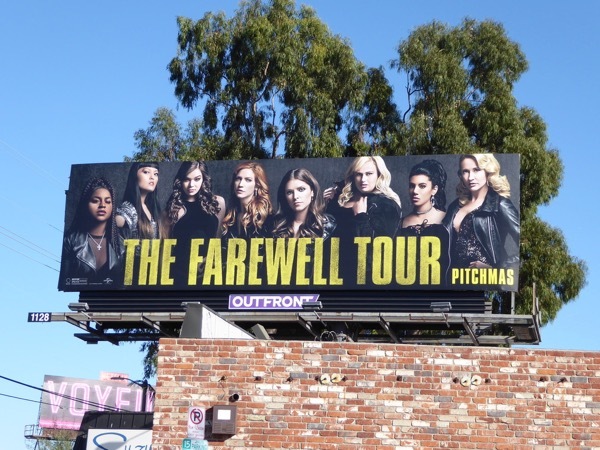 These movie billboards for the comedy threequel were snapped along Highland Avenue, Pico Boulevard, 3rd Street, Beverly Boulevard, Cahuenga Boulevard and the Sunset Strip from November 28 to December 7, 2017. 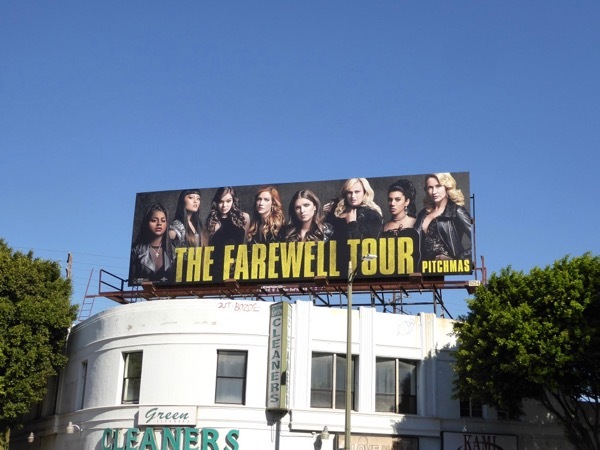 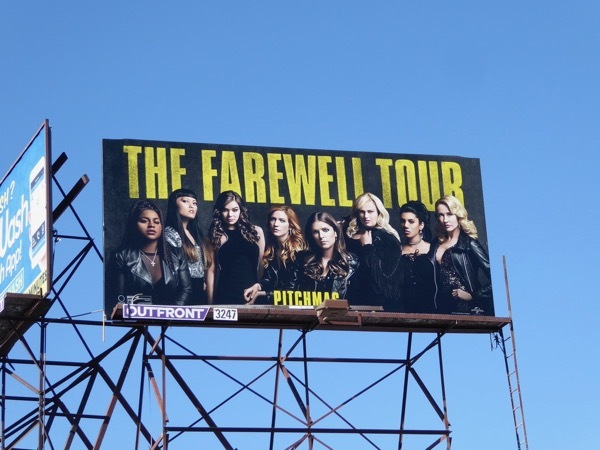 Fans of the musical film franchise can also enjoy these Pitch Perfect 2 movie billboards from 2015. 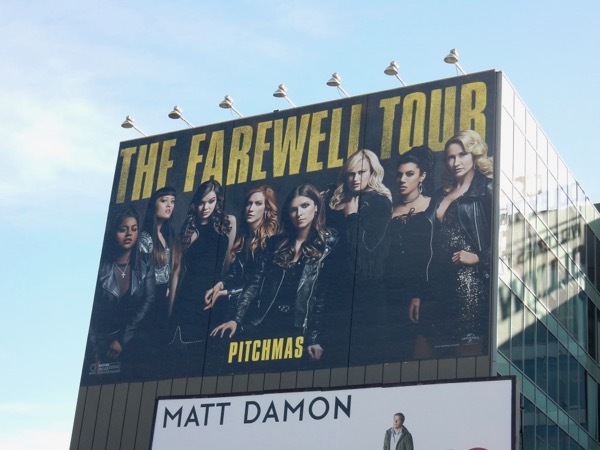 Meanwhile admirers of Anna Kendrick can enjoy these Mike & Dave Need Wedding Dates movie billboards, fans of Anna Camp can check out these Good Girls Revolt TV billboards and for more Rebel Wilson take a look at this Super Fun Night billboard, these How to be Single movie billboards and these Night at the Museum 3 movie billboards. 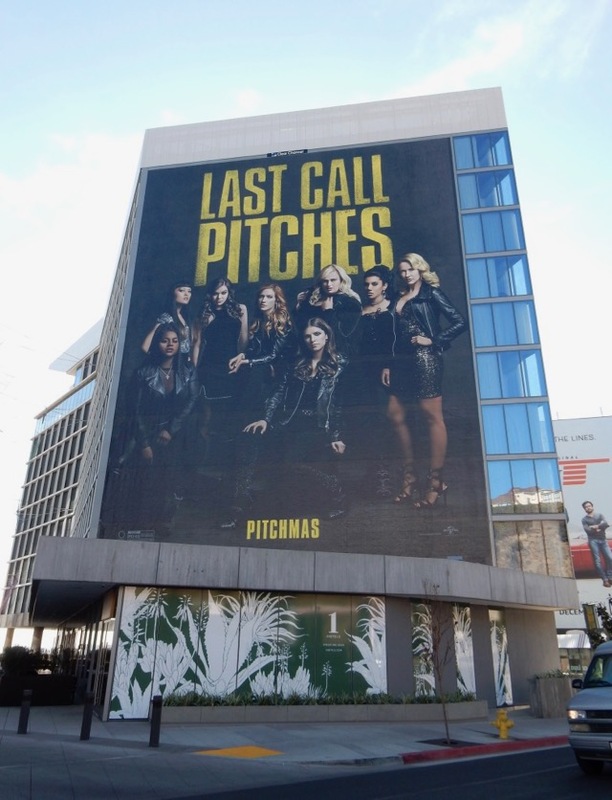 If you're looking for a good laugh this holiday season then Daily Billboard wishes you a very merry Pitchmas.